Adhere Chinese characteristics ; implementation of open innovation and technology development strategy.China Agricultural Machinery Industry with China's national conditions,bring in foreign advanced technology, for decades,the agricultural machinery products with Chinese characteristics has basically meet the needs of agricultural development , the independent development of this combines to become a major regional adaptation model and implementation of rice wheat harvest mechanization ; independent development of small four-wheel tractors,small tractor and agricultural vehicles has a simple structure , low cost, has changed the driving force of the vehicle early animal and human . 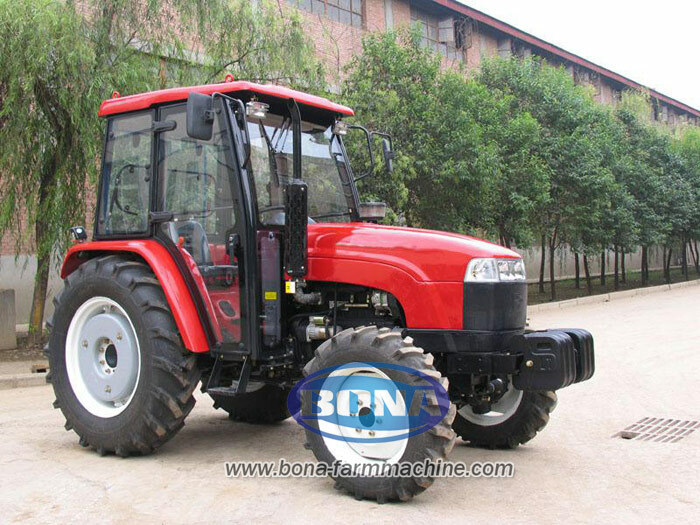 With the adjustment of agricultural structure , effective, upgrading and adjustment of agricultural machinery to adapt to changing needs , but still stick to their characteristics, for advanced and practical requirements, and the right price is still satisfied. The overall realization of agricultural mechanization in China still have to rely on equipment made in China , we must take the road of independent innovation , but innovation is not a self- innovation , should make full use of foreign resources , both domestic and international resources should be consistent , we will adhere to its own brand to form an open innovation model, has matured and advanced overseas technologies and products , improvements or innovations to be achieved based on the integration of the situation in China , the digestion and absorption of foreign content , and manufacturing, with China national conditions of products. Through the introduction, digestion, re-innovation and integrated innovation , improve in China as soon as possible the level of agricultural machinery , agricultural machinery standing strategic focus areas of international labor and industrial sectors , to seize the initiative firmly grasp the development and innovation, development in China and other countries, particularly the lack of product needs . Increase capital investment , the establishment of long-term investment growth mechanism . Established under the leadership of a multi-part investment and long-term investment growth mechanism of the government and the broad participation of business and society .